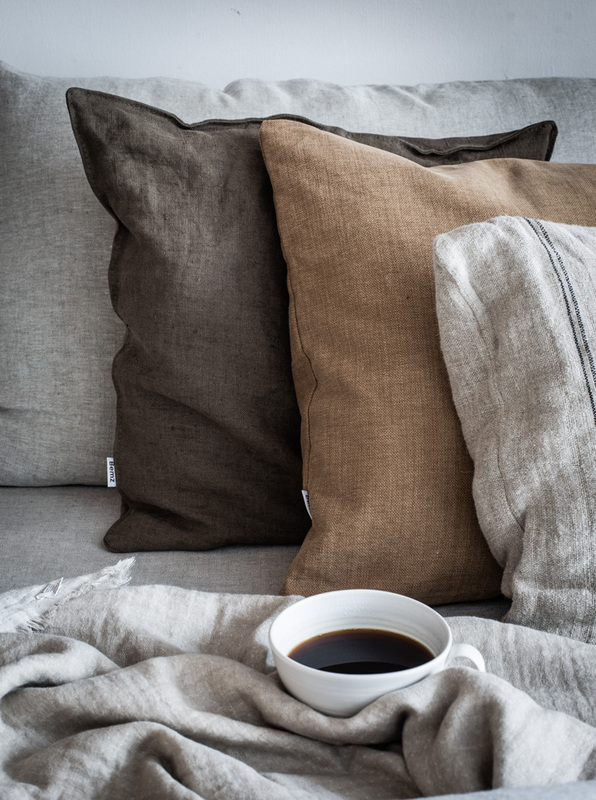 I chose cushion covers in Spice Linara by Romo, Sage Brown and Unbleached Rosendal linen as a nod to the rich colours of the season (I talked about 'brown' being the 'it' linen right now in Wednesday's home tour and the warm tones are so perfect for this time of the year, don't you think?). I also swapped the original metal legs which the sofa came with for these pretty pins (namely the Terence legs that were designed in collaboration with Apartment Therapy). Aren't they fabulous?! These are a fairly new addition to the Bemz collection - see the full range here. All that's left to do is light a few candles! If you're looking for me this weekend, you'll find me right here! In case you're curious about any of the items I picked, I've created a little 'get the look below. 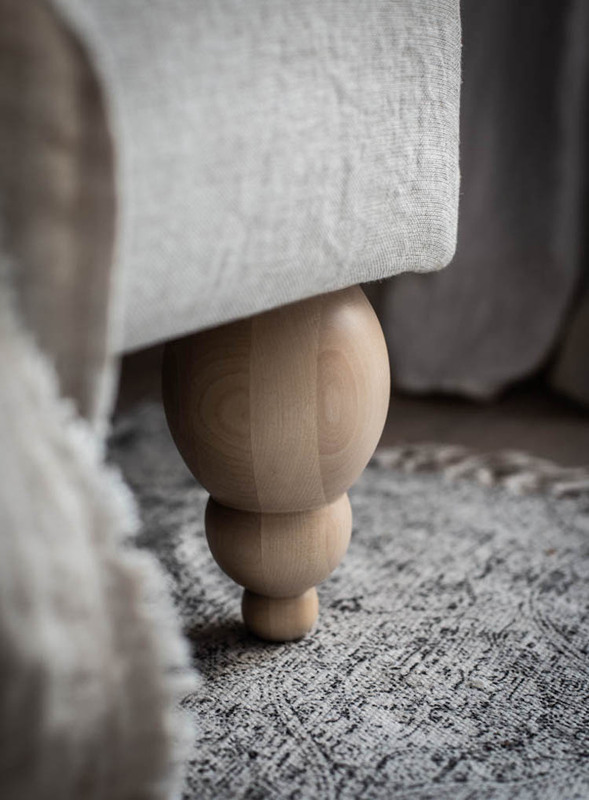 Terence, Chunky Wooden Furniture Leg 18cm/ 7"
Funnily enough, a friend popped in for a cup of tea yesterday and said "wow, I love your new sofa!" She was so surprised to hear it was the same lady underneath! 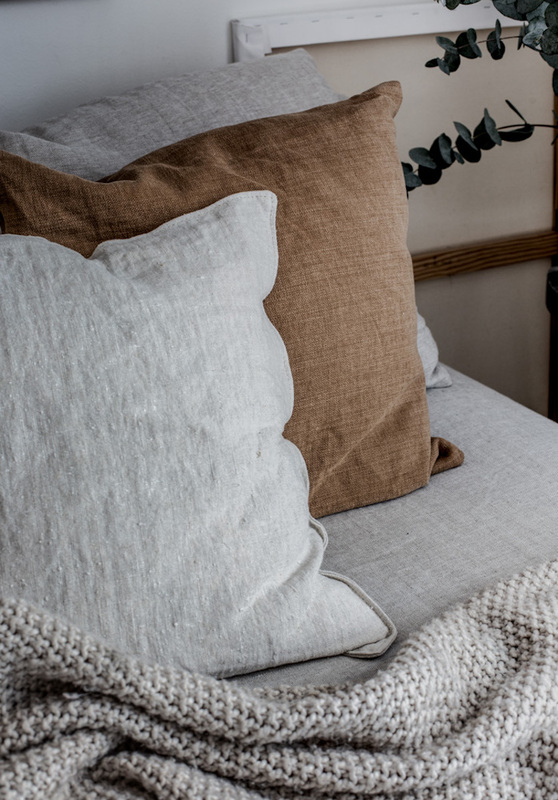 If you have an IKEA sofa or armchair which needs a little TLC you'll be happy to hear the fab team at Bemz are offering an exclusive discount of 20% with code 20myscandihome this weekend! Don't own an IKEA piece? Try your local online second hand store, you could always pick one up for a song and give it a designer revamp! More Bemz inspiration to be found in my bedroom and reading corner. I also still love the previous cover I had on my sofa which you can see here. I hope you have a wonderful weekend - vi ses på Måndag! This post is brought to you in collaboration with Bemz, however all words are my own and I only ever work with brands I love and think you will too. 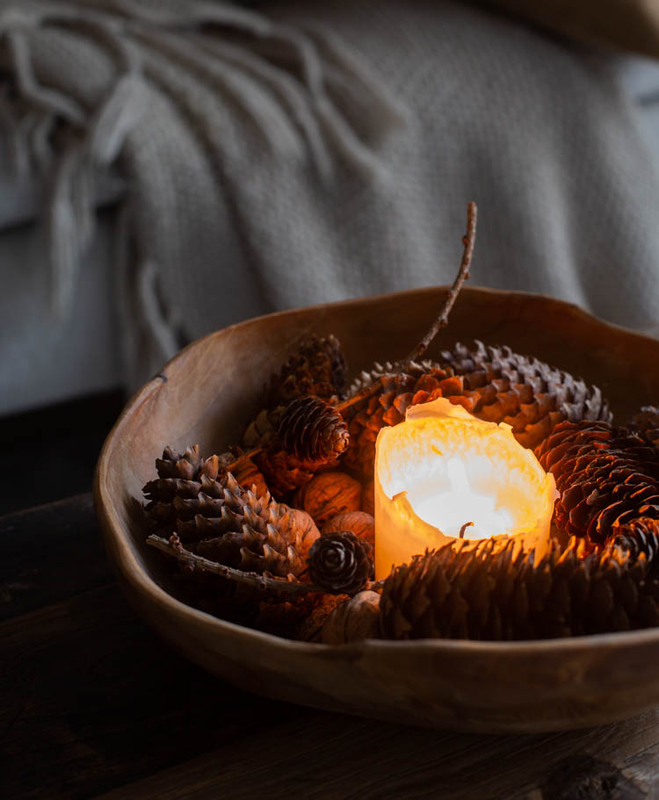 Thank you for supporting the hand-picked businesses that make My Scandinavian Home possible. Looks great! I love the linen look. My apologies if I had asked this before (I feel like I had but cannot find the original post), but do you find that sofa still comfortable after owning it for so long? I would really like to buy it but want to make sure it will last me a bit. Bemz helps with extending the life but comfort is important. It would be my only sofa, used for watching TV and lounging in the living room. and maybe for an occasional guest. Yes I do - my whole family does. It's very deep and quite low so you need to like that in order to enjoy it. We also have a ton of cushions on it (always) too which helps to keep it feeling really soft. Hope that helps! I have admired the sofa table in your room for so long. It looks to be "antique". I'm trying to find one for my home, any suggestions? Thank you! I bought it from Lovely & Co in the Uk (online). It's one of my favourite pieces, I use it all over the home - as a coffee table, at the end of my bed and as a bench at my dining table! The artwork with the storm clouds is so lovely! Do you mind sharing where you found it? Absolutely - it's called Blue Waters and is by Trine Holbaek. Hi there, it looks great! I have been wondering for a while about how easy/difficult it is to put on those bemz covers. I mean, you probably have to disassemble the sofa, yes? I have a different sofa by IKEA, but the idea is the same. I am a bit of a dab hand at this now as I have put on a few different covers over the past year. It's actually very simple. I usually iron any creases out off the linen (this is more because I plan on photographing it!!) and then I have found that with some sofas (such as the Karlstad) it's enough just to loosen the screws and slip the covers on and off. With the Söderhamn I took there sections apart. But it honestly doesn't take that long and it's so worth it! 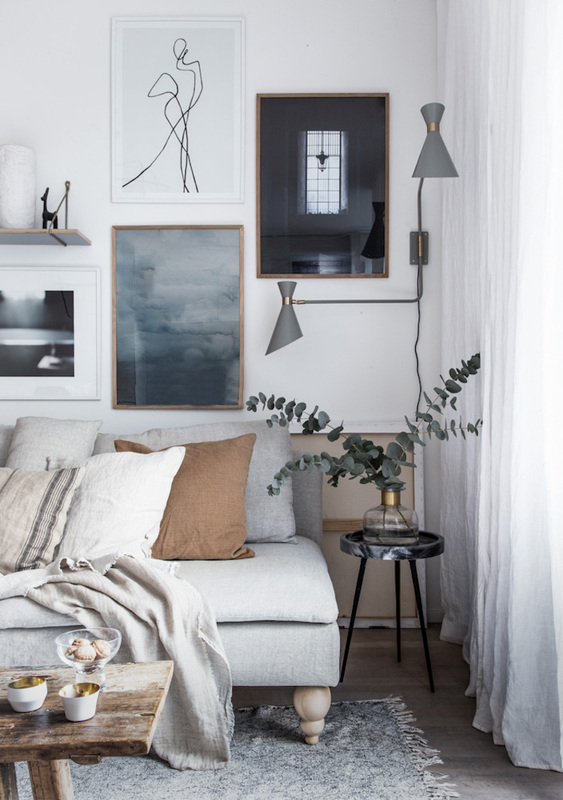 I love everything about this room! 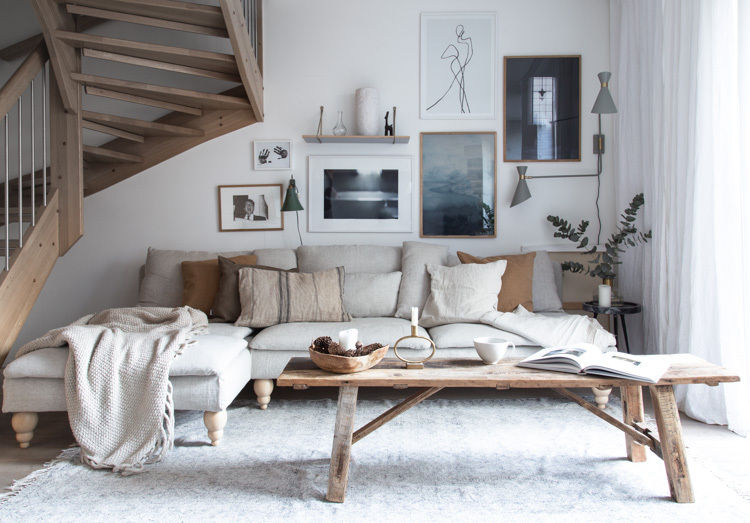 The linen cushions, the gallery wall and the coffee table!